Danone announces it has signed a definitive agreement for the sale of Earthbound Farm, the US organic salads business, to California-based Taylor Farms, a family-owned salads and fresh foods company. The transaction closed today. The sale of Earthbound Farm, which had annual sales of about USD400m in 2018, is part of Danone’s portfolio management and capital allocation optimization strategy. Dedicated to bringing health through food to as many people as possible, Danone is a leading global food & beverage company building on health-focused and fast-growing categories in three businesses: Essential Dairy & Plant-based products, Waters and Specialized Nutrition. Danone aims to inspire healthier and more sustainable eating and drinking practices, in line with its ‘One Planet. One Health’ vision which reflects a strong belief that the health of people and that of the planet are interconnected. To bring this vision to life and create superior, sustainable, profitable value for all its stakeholders, Danone has defined its 2030 Goals: a set of nine integrated goals aligned with the Sustainable Development Goals (SDGs) of the United Nations. Danone commits to operating in an efficient, responsible and inclusive manner; it holds itself to the highest standards in doing business, as reflected by its ambition to become one of the first multinationals certified as B CorpTM. With more than 100,000 employees, and products sold in over 120 markets, Danone generated €24.7 billion in sales in 2018. Danone’s portfolio includes leading international brands (Actimel, Activia, Alpro, Aptamil, Danette, Danio, Danonino, evian, Nutricia, Nutrilon, Volvic, among others) as well as strong local and regional brands (including AQUA, Blédina, Bonafont, Cow & Gate, Horizon, Mizone, Oikos, Prostokvashino, Silk, Vega). 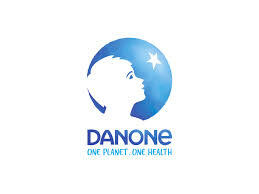 Listed on Euronext Paris and on the OTCQX market via an ADR (American Depositary Receipt) program, Danone is a component stock of leading social responsibility indexes including the Dow Jones Sustainability Indexes, Vigeo Eiris, the Ethibel Sustainability Index, MSCI Global Sustainability, MSCI Global SRI Indexes and the FTSE4Good Index.